Making Headway is a supplementary series for teachers and students of English. It is designed to complement the Headway course book, but can also be used with other main course books. 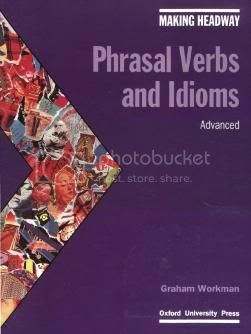 Phrasal Verbs and Idioms is for adult upper-intermediate learners who want to study and learn to use English multi-word verbs, prepositions and idiomatic expressions.